New Homes & Additions in the Madison, WI area. A Better Home has experience with projects both small and large, from kitchen remodels to whole home additions. Working with an architect, you’ll be able to design the new home you’ve always wanted. Or if you’d like to add an addition to your current home, we can help with that as well. No matter your project scope, we’re here to help you design and build your dream home. 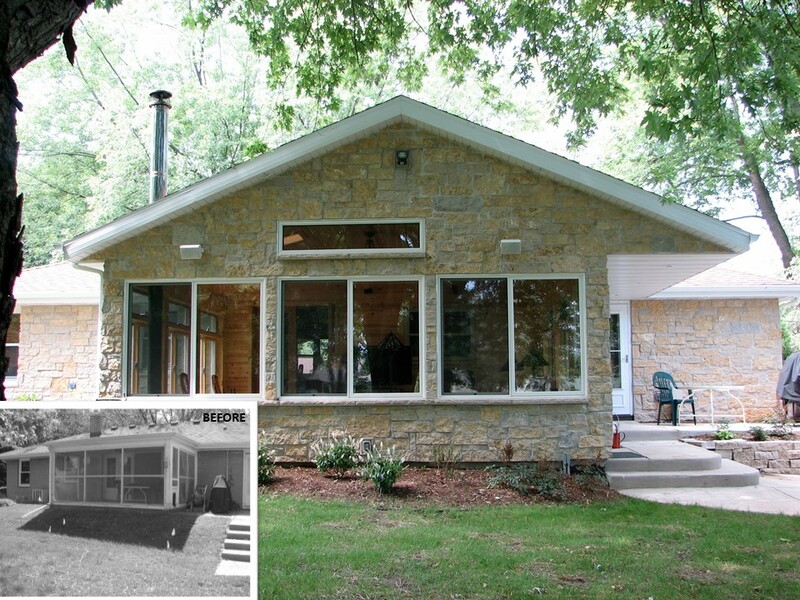 This addition in Madison, WI was a screen porch conversion to sunroom. The beautiful new sunroom can now be used year-round. To read more about building a new home, visit our New Build page. If you’re interested in starting a remodeling or building project, visit Our Process page to learn how our design build firm can help you achieve your dream home.